Produced by Triumph Australia with the assistance of AMCN and Bikesales.com.au, this video showcases the fantastic new 2011 America and Speedmaster cruisers. 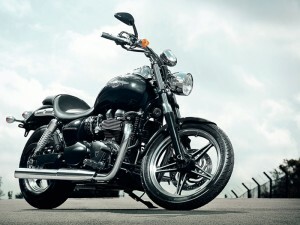 Triumph’s Speedmaster and America models tread a slightly different path to cruising to the traditional v-twin layout. At their $13,990 price point it is impossible to evaluate these models without comparing them to Harley’s Sportster line-up, so we’ve done exactly that. Triumph’s well established 865cc air-cooled parallel twin provides the motivation and spins quite freely in comparison to the competition. 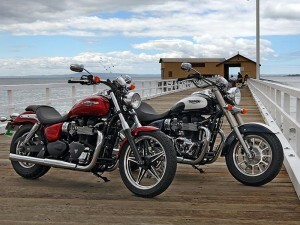 With the optional high-flow chrome silencers ($549) both Triumphs sound quite sporting. 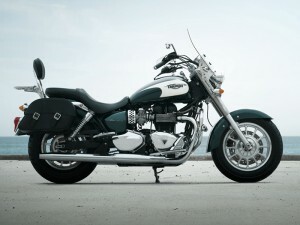 Heaviliy updated for 2011, the 865cc Triumph America offers an even more accessible entry point into Triumph’s cruiser range, delivering an authentic cruising experience but with a distinctive Triumph twist.